Designed to meet the needs for a small self-contained unit for bulk charging mobile phones, music-players etc. 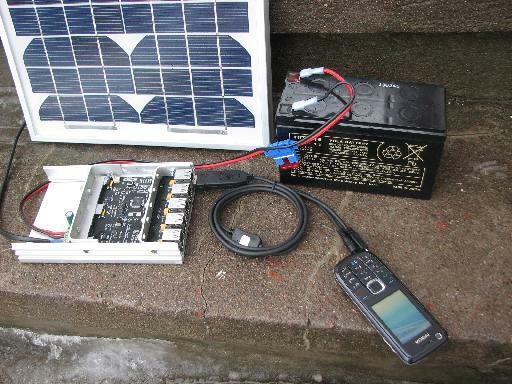 The station uses a solar panel (or small wind turbine) to charge battery to magazine energy so charging can be done on rainy, cloudy days or during night time. 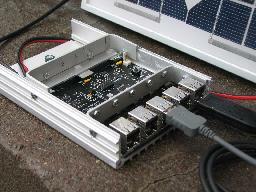 The station uses USB as unified power interface. USB is a popular common interface for most devices and telephones and many other gadgets. The station is designed for robustness. 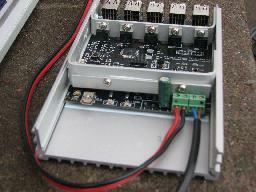 Chassis is a rugged aluminum case that also serves as heat sink for the power electronics. The design is based on the latest microprocessors technology. and uses powerful components, including high power FET's transistors for power control and versatile Hall elements for current sensing. The unit can be monitored, debugged and configured via USB. This needs a special cable and terminal program on the host computer. This is only intended for service and expert users. For normal operation the unit works out-of-the-box in an optimal way. Blocking and reverse protection diode input. Each two ports are separated for short circuit protection etc. USB power can be dis- and reconnected manually. USB 10 st type A. More 1 Ampere per pair. Although a rugged design the unit should not be exposed to rain and dust. Also allow for air flow and avoid very high temperatures as this reduces the lifetime for the electronic components as switching capacitors. 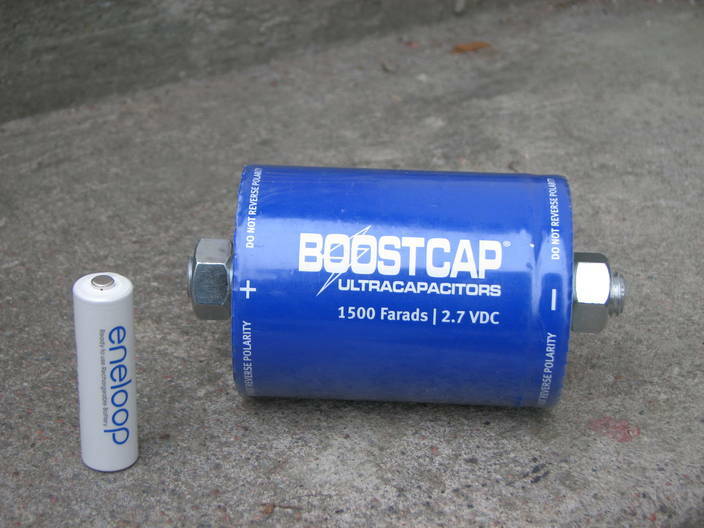 Size and capacity of battery. Nominal 12 Volt. The above recommendations also goes for battery as heat causes problems and shortens lifetime for most batteries. The charger compensates for the battery temperature. The sensor should be mounted on the battery. NOTE. Connect battery poles (+, -) correctly otherwise unit might be damaged. Use fuse for battery. Suiable fuses is micro-fuses used in many modern cars. The charge station is yet only available in small volumes. The volume price is investigated.